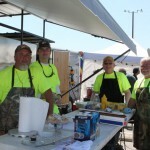 Professional and amateur grillers are welcome to compete at Grillin’ in the Breeze on Saturday, April 27, 2019. Email your application to srefgrillin@gmail.com by Thursday, April 25th! 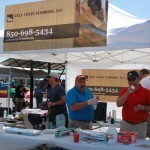 Click here to view the Grillin’ in the Breeze Rules 2019 . Prizes will be awarded for the following: Judges’ Choice Pro Division 1st, 2nd, and 3rd place; Judges’ Choice Amateur Division 1st, 2nd, and 3rd place; People’s Choice 1st, 2nd, and 3rd place; Spirit of the Pig Award. All proceeds support Santa Rosa Education Foundation & Take Stock in Children. For additional information contact Santa Rosa Education Foundation at 850-983-5043 or srefgrillin@gmail.com.